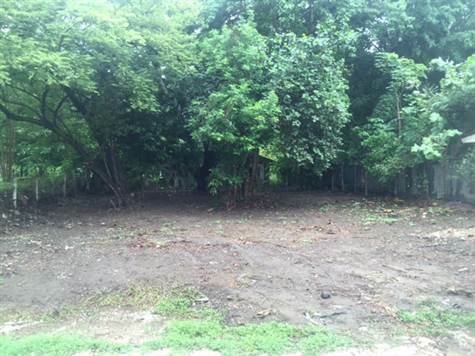 Very nice lot, perfect for residential or commercial use, in a great location near to the beach in Surfside, Potrero. The lot is less than a 5 min walk to the beach, and within a 5 - 10 min walk of several shops, restaurants, a small supermarket and a fruit stand. The beach is lovely and very quiet, never crowded. The neighborhood has many nice homes and is near private schools, health clinics, banks and more. There is a real estate and vacation rentals office to the west of this lot, and a commercial building with rooms for rent to the east.